On the 11th of June, police (presumably US Park Police) evicted the Poor People’s Economic Human Rights Campaign from their "Resurrection City II" encampment in Dupont Circle.Belongings were stolen by police but nobody was arrested. Cops cited "noise complaints" presumably from Dupont area yuppies as their excuse The possiblity also exists this is retaliation for an earlier civil disobedience at HUD-or just to "clean up" Dupont in case Capitols fans went there. Earlier on June 11, Cheri Honkala was arrested at HUD after refusing to leave the lobby. She was demanding a meeting with HUD offiicals. This is while Housing and Urban Development Secretary Ben Carson is trying to jack up rents by 20% for everyone on Federal housing assistance. 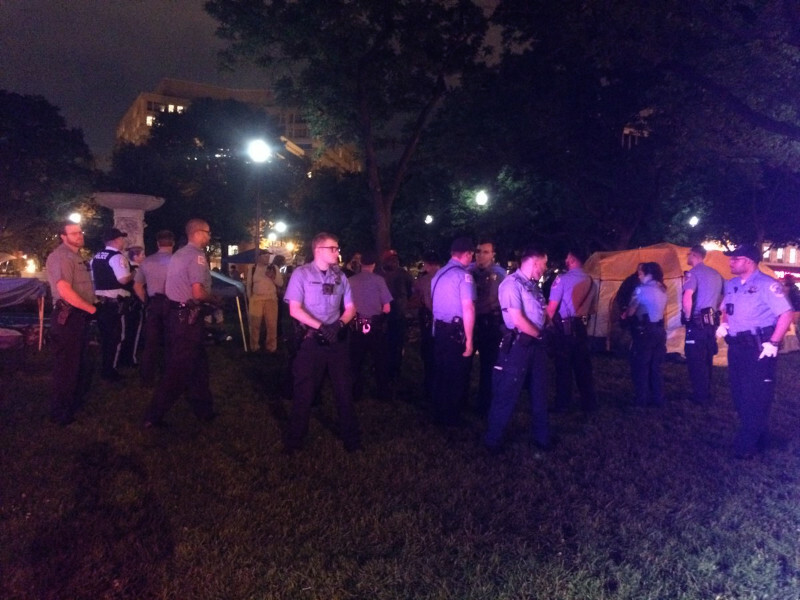 Washington D.C. -- At approximately 9:30pm on June 11th, federal police began evicting poor & homeless from Resurrection City II in Dupont Circle, despite their lawfully obtained permits. Nearly twenty police officers congregated in Dupont Circle, citing “noise complaints” as the reason for their presence, & eventually citing the use of “permanent structures” (tents) & the “obstruction of signs” as grounds for the revocation of the permit, which was slated to continue through June 12th. The Poor People’s March on Washington was cited with an $80 fee resulting from the complaint. There were no arrests, though property was seized. Resurrection City II was formed by poor & homeless adults, youth, families, veterans, returning citizens, people with disabilities, & people who receive SSI, WIC, SNAP, & other life-saving services. The creation of the city, which included a stage & scheduled performances by artists such as Rebel Diaz & Immortal Technique, served as the celebration & culmination of the Poor People’s March on Washington , a week-long march from Philadelphia to Washington D.C. organized by Poor People’s Economic Human Rights Campaign . 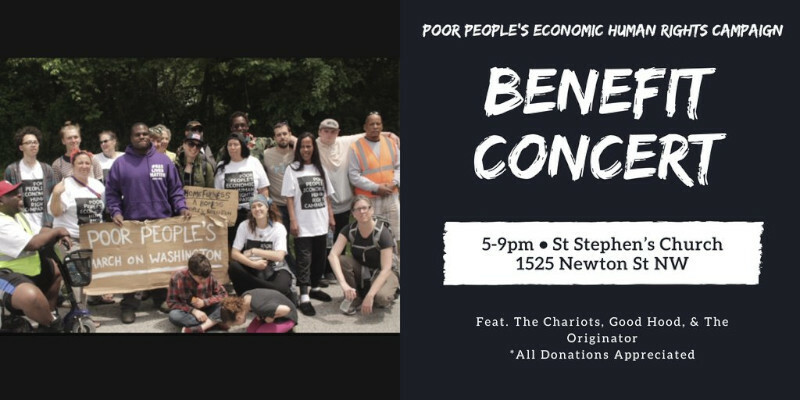 Throughout the day, marchers made speeches, performed music, & spoke their truth in the present of other poor & homeless people, as well as passerbys. Freedom songs could often be heard coming from the park, including during the eviction. Despite their acquisition of a permit, marchers were routinely harassed by police during their two day stay. The final PPEHRC concert was moved to St Stephens due to the loss of the Dupont Circle camp.